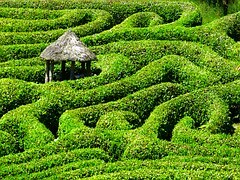 I’d like to add a postscript to my Sunday post last week about Walking the Labyrinth: A Healing Path. Part of the healing nature of walking a labyrinth, for me, and about invoking the Inner Healer Archetype while walking a labyrinth, is the very physical fact of TURNING, with 180 degree turns, throughout the pathway. You walk a segment of the path, pause, then turn around and go back over an adjacent segment until that comes to a turning point too. 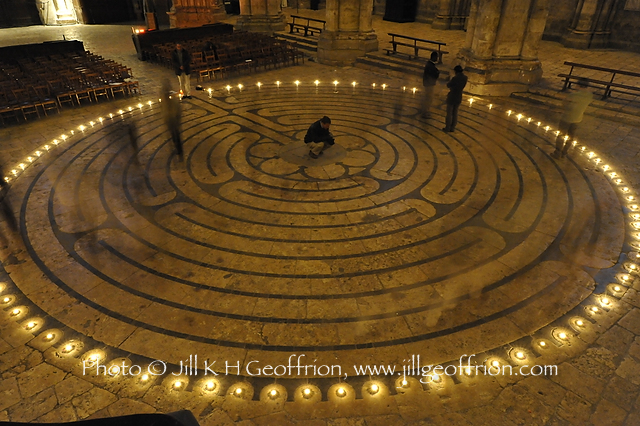 An online site I have read says there are some 112 such turnabouts or Turning Points within the Chartres Rose Labyrinth (shown above with gratitude to the photographer cited). This process of walking and turning about is a physical manifestation of the principle of Cycles within Cycles. Isn’t any PROCESS, certainly including a Healing Process, a sometimes long and winding path with many turns, with many cycles within cycles of the WHOLE process over space-time? I leave it to each of you to ponder or contemplate the significance of this observation with regard to your own PROCESS situations. A PROCESS brings one from position A to some destination, say X. The pathway leading from A to X is the process itself, at least outwardly. 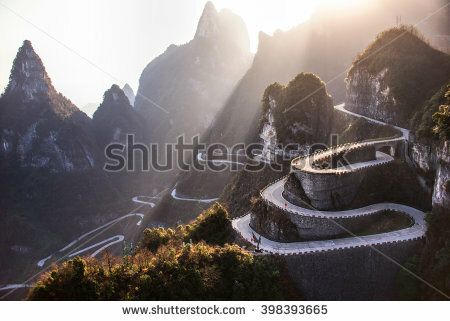 So, what are the many turns along the way about? Stepping back two steps to go forward three? That could be one sort of Process. How might that be helpful? I invite your Comments and Stories!